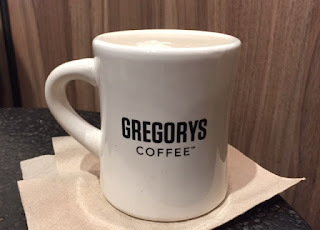 I've been seeing a lot of Gregorys Coffee for about a year or so, but I hadn't been any of the locations till yesterday. 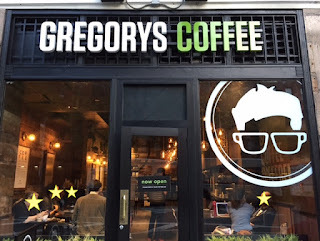 Gregorys Coffee is a New York based coffee roaster and retailer, and the logo was easy to remember; glasses with dark hair, which is made to look like the founder and apparently, the glasses are 2 mugs. 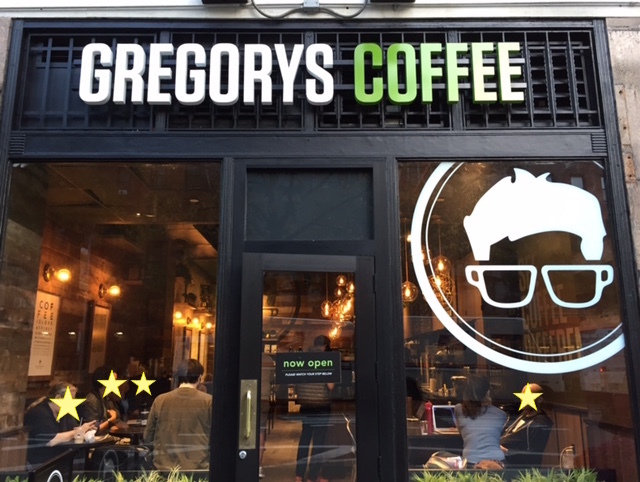 Like other chains, Gregorys Coffee offers Wi-Fi and many were either working on the laptops or having little meetings/catchups. The baked goods looked good and I'm looking forward to trying some next time. I tried Chai with soy milk, and it's for stay, it's served in a mug. 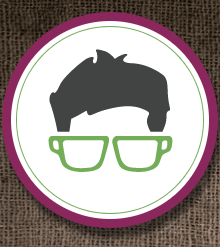 I thought it would have the same logo used on paper cups, but instead, there's a founder pressing coffee. Steamed soy milk was airy, smooth, and light. The spice and sweetness were both moderate and it's a tasty chai. I don't like cinnamon that much but when it comes to chai, I'm ok with it. 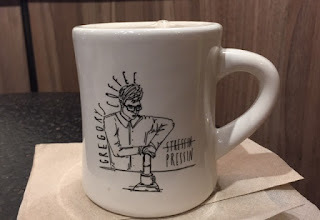 Next time I visit, I'm thinking to try Dirty Chai, that has espresso, or some coffee, at the risk of getting stomachache. * Soy milk substitution (83 cents) added.